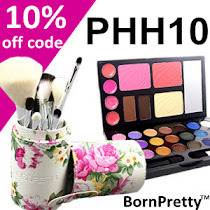 I'll ease back into things with a little wittle post for my fellow Aussie beauty lovers to check out Priceline... because they are now stocking a Korean cosmetics brand! Wowww. 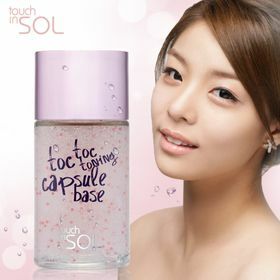 I was flipping through the catalogue the other day when I noticed some cute looking cosmetics - I thought to myself "Hey, the packaging looks really cute, like Korean brands." 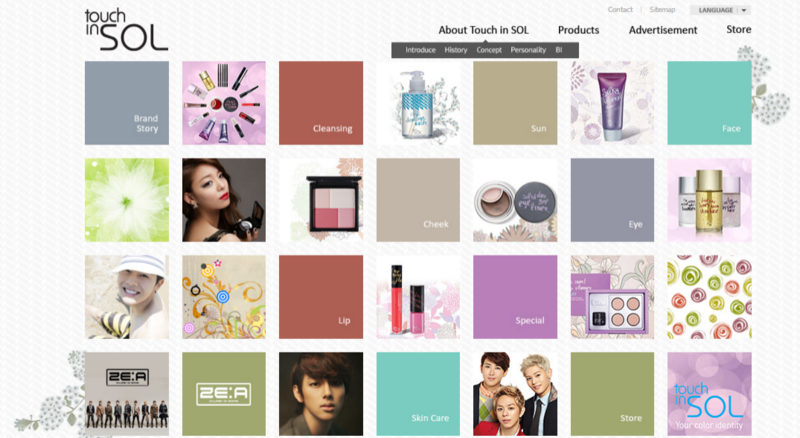 Haha, so I googled it and lo and behold Touch in Sol is a Korean cosmetic brand - fairly new to the scene, but with really cute and trendy looking skincare and makeup. I'm verrrry interested in some of the bases, but am a little sad to not find any colour makeup! With further searching I found the brand is stocked at Sephora (UK and US), Gmarket and Yesstyle (though quite limitedly). It's not yet a very prevalent brand as far as I can see, as there aren't many blog reviews. 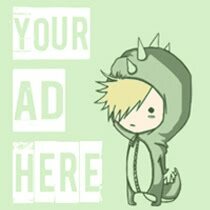 If you've already tried some stuff from this brand do let me know! Hi Lovelies! Welcome to my third post about my Seoul trip - I do hope you are enjoying these posts - something different to my normal beauty posts, right? It's day 3 of my 6 day trip, and it's a big one. 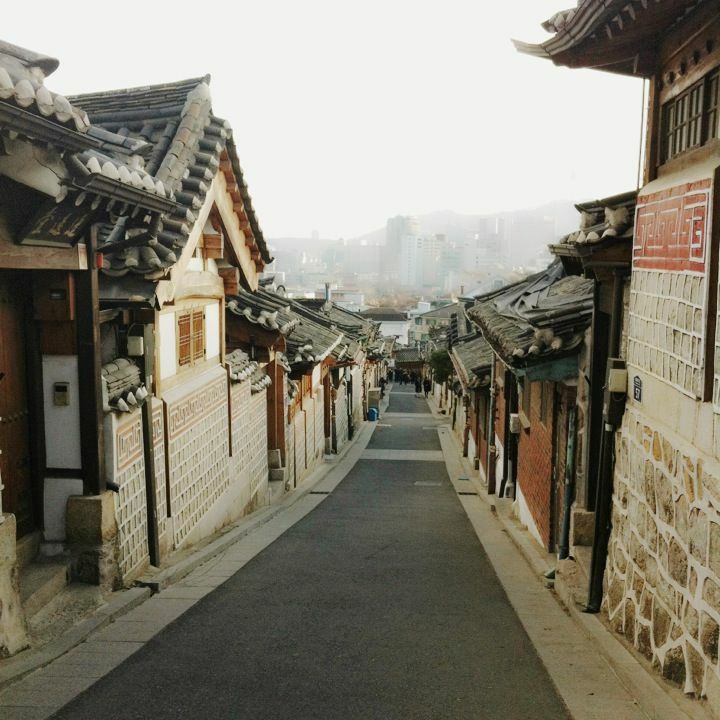 We checked out some of Seoul's most popular attractions - places that are favourites to locals and tourists alike. First off, we started the day with a good meal. 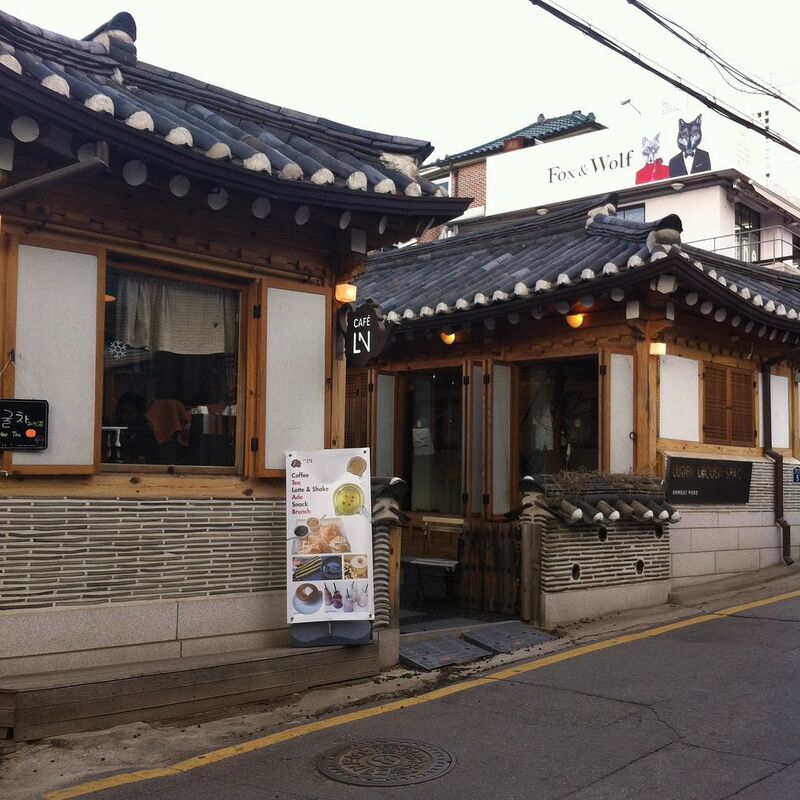 Nuri was a restaurant in Insadong that I had picked online, and it didn't disappoint. 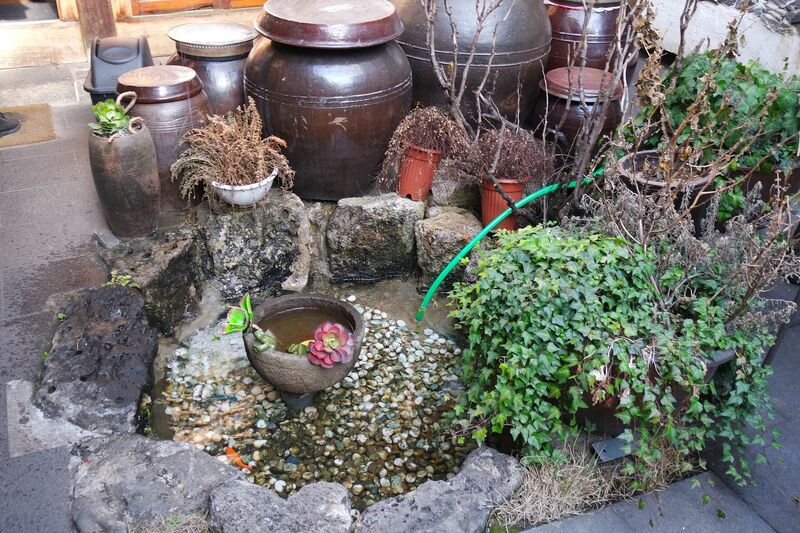 If you want to try a 'typical' Korean meal, this is the place. They serve prettily presented bento-like meals, and of course the other main attraction was the traditional look of the restaurant. 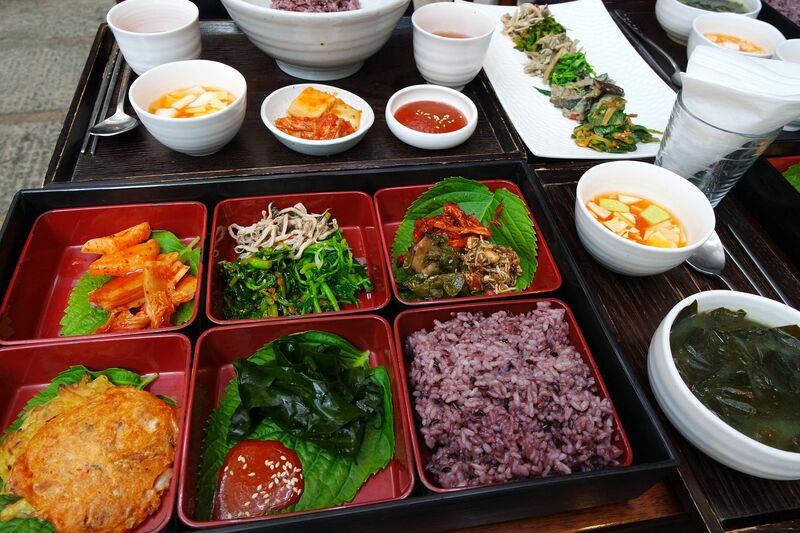 The top left corner is vegetable bibimbap. You dump all the vegetables and sauce into the rice bowl and mix it up. It looked delicious! The meals are so beautifully presented - look at all the vibrant colours! 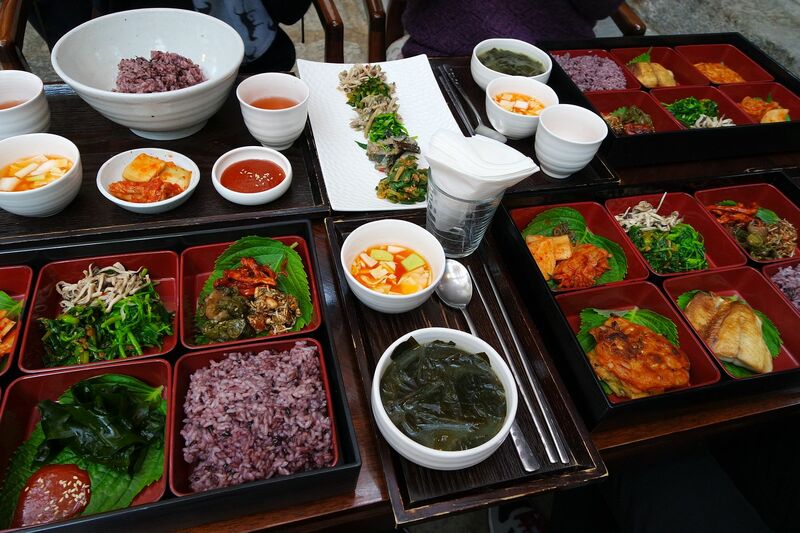 It's mostly side dishes with mixed grain rice (hence the purple colour) and seaweed soup. It looks expensive and fancy, but my friend's Korean friend says she typically eats like this at home all the time, lol. The rice is different to the Jasmine rice I eat at home - Korean mixed grain rice has this unusual colouring, and is quite chewy. It's definitely really filling, so I ended up getting fuller faster. After our yummy meal we were off to explore Insadong - or more specifically Ssamziegil, which is a famous shopping place for souvenirs and gifts. 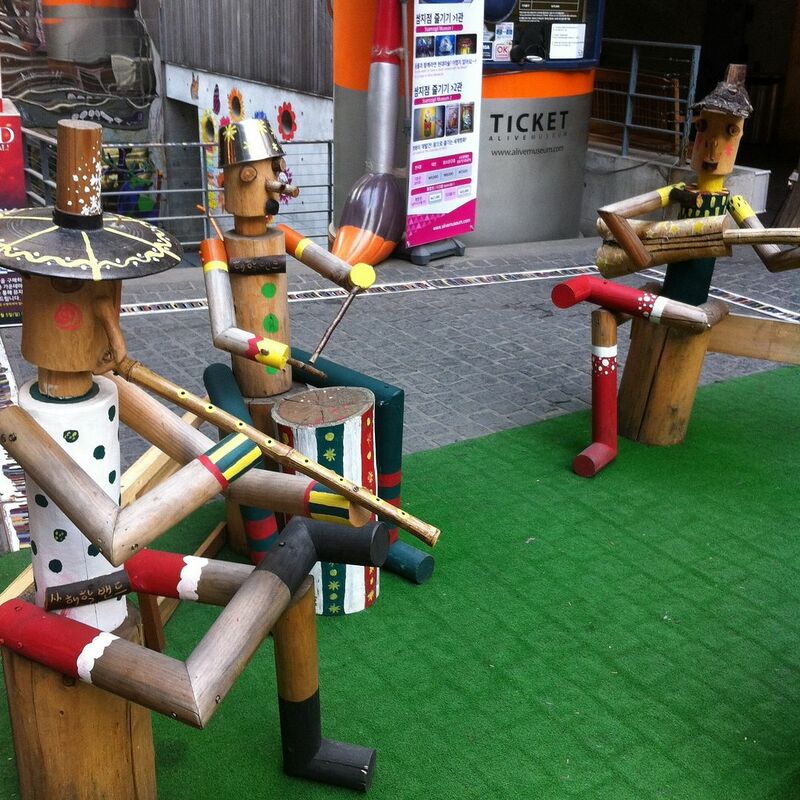 Somewhat creepy looking Pinocchio figures, lol. Birdhouse and tree decorations on one of the upper floors, so cute. 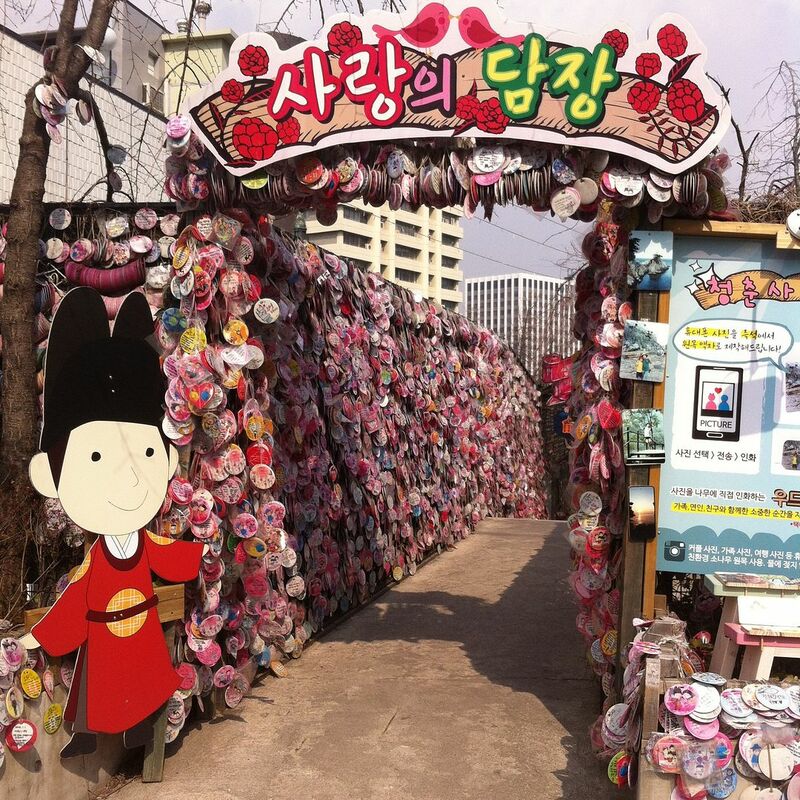 At the very top floor is a place that sort of mimics the love locks concept from Namsam Tower, except here the love messages are written on cards and tied to the railings. Still pretty, isn't it? 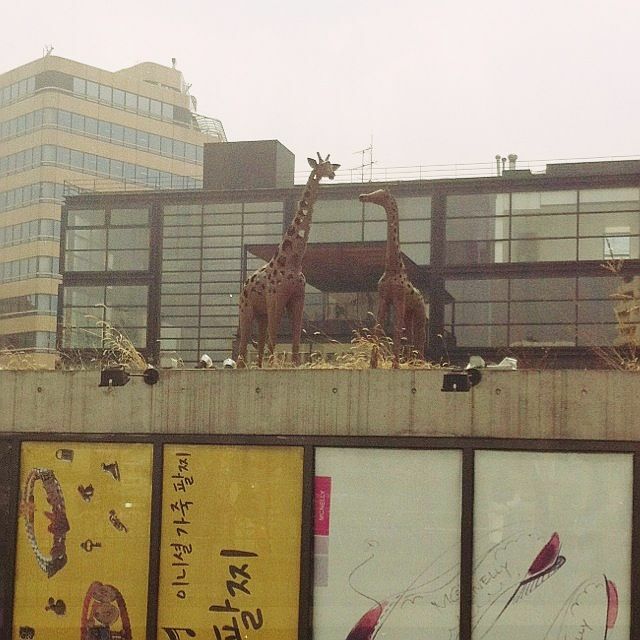 Random picture of metal giraffe sculptures on a roof top. 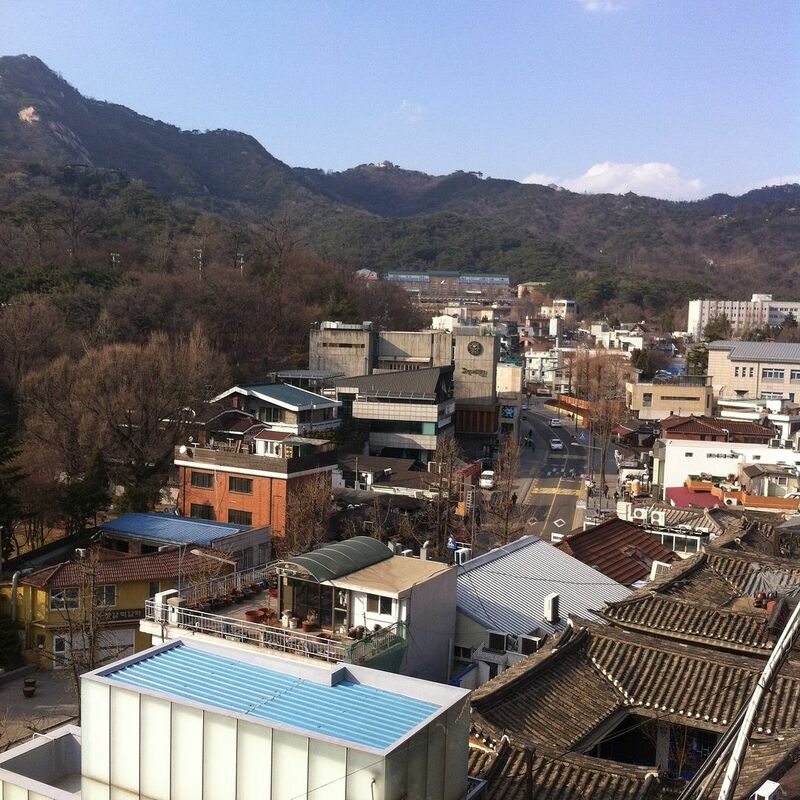 I had a lot of fun looking at the rooftops of buildings in Korea, because they make so much use of the space. I saw many rooftop gardens and the such - really wish this would become popular in Australia too. I just love the concept! 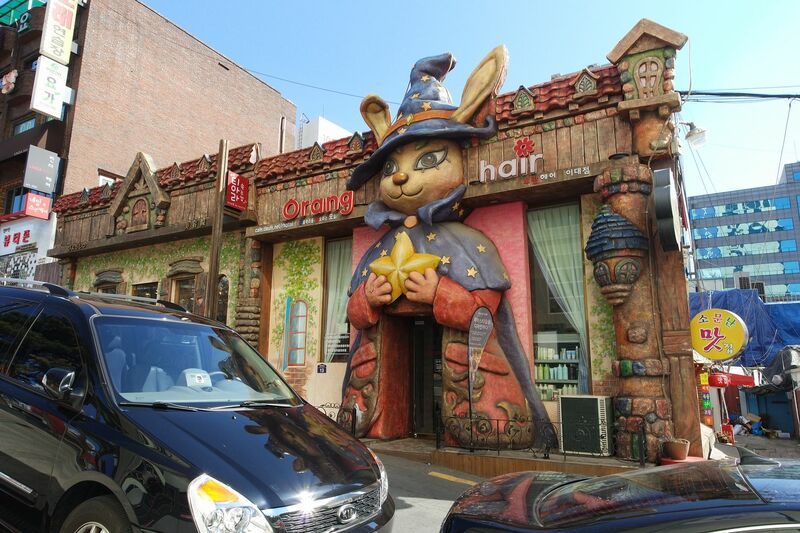 Anyways, there are some really nice shops here - it's a bit more expensive as many products are handmade or of high quality, but if you want to buy gifts for loved ones, Ssamziegil, or even the general Insadong area is a good place to start. I bought my little sis a wooden cat charm. And it was packaged so cutely! After we finished shopping we decided to find a cafe to rest, and we circled back to a cafe we had spotted earlier. 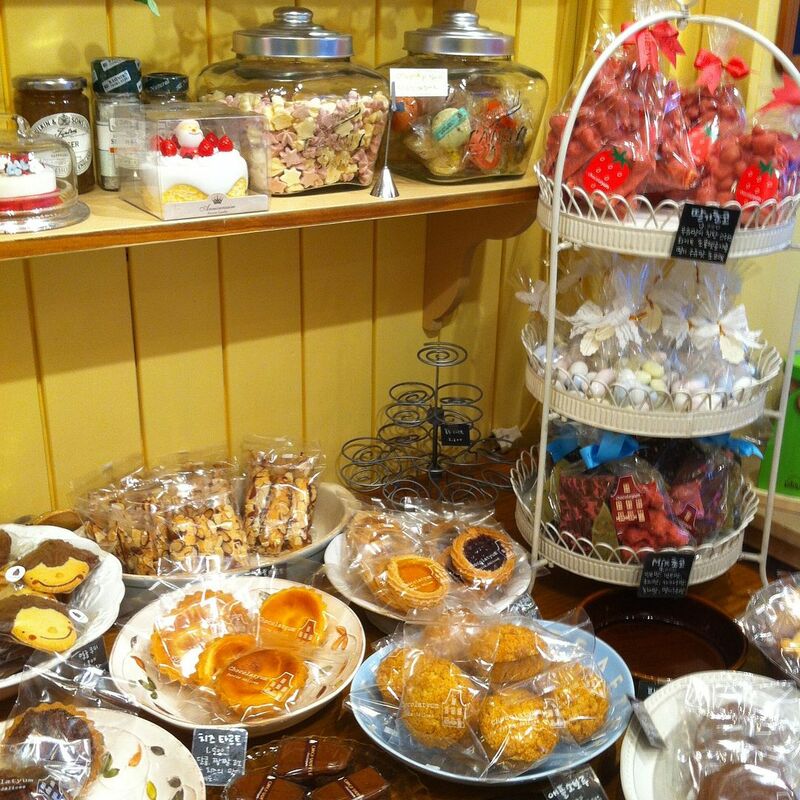 Sandwiched between a convenience store and a knitting related store is Miss Lee's. 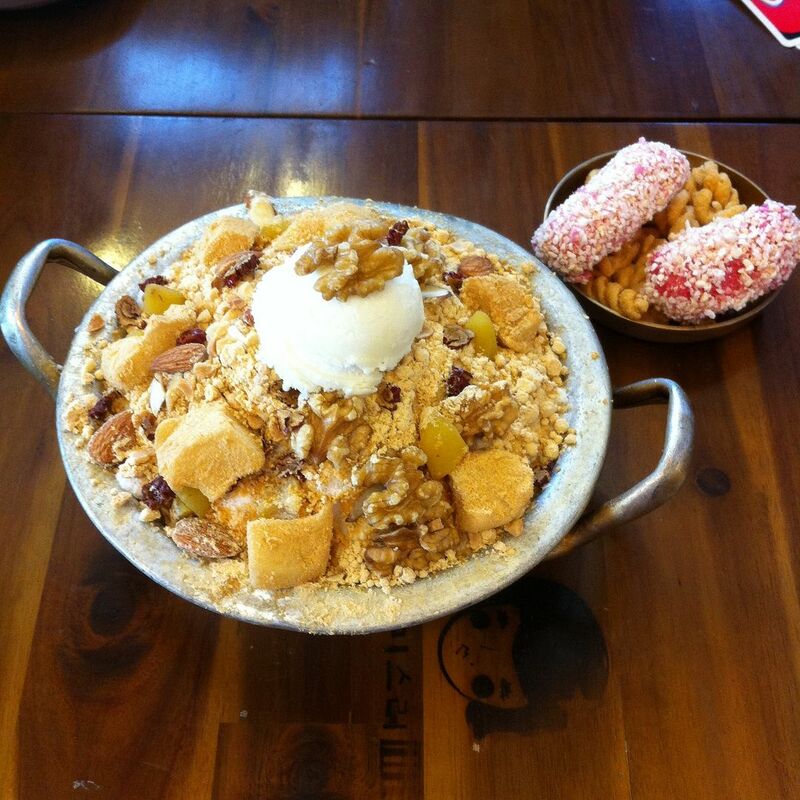 Miss Lee's is quite popular for serving traditional style Korean desserts, with a bit of a more modern edge. I've seen many tourists blog about this place so I wanted to check it out too. We ordered bingsu again (yummy shaved ice), but this time it was a more traditional style with walnuts, almonds and mochi. There was even traditional sweets on the side. 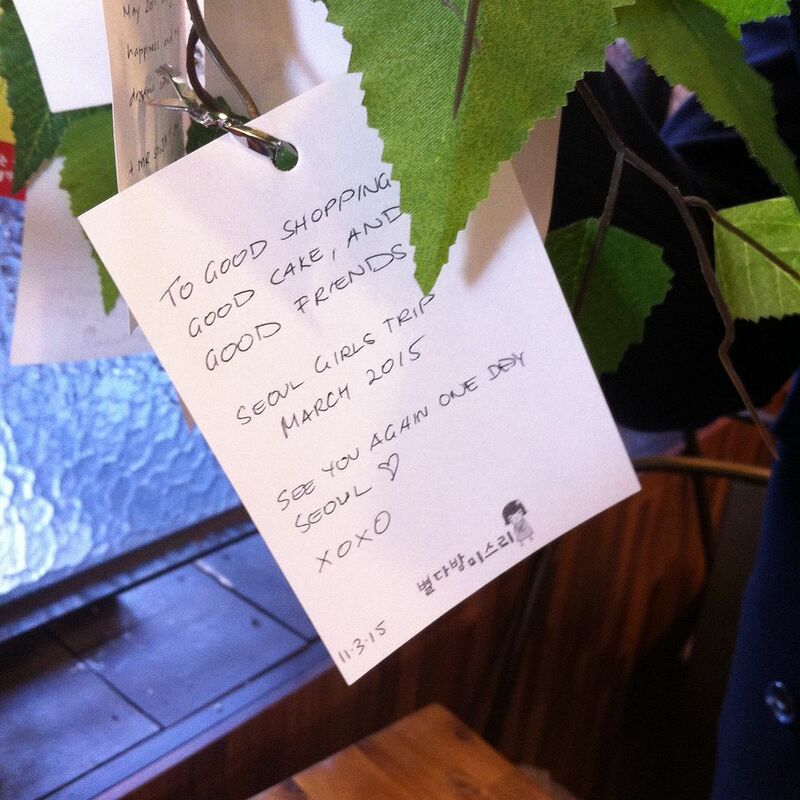 Another appeal to Miss Lee's is you get to leave written messages within the cafe, so here's the one I attached to one of the potted plants, lol. 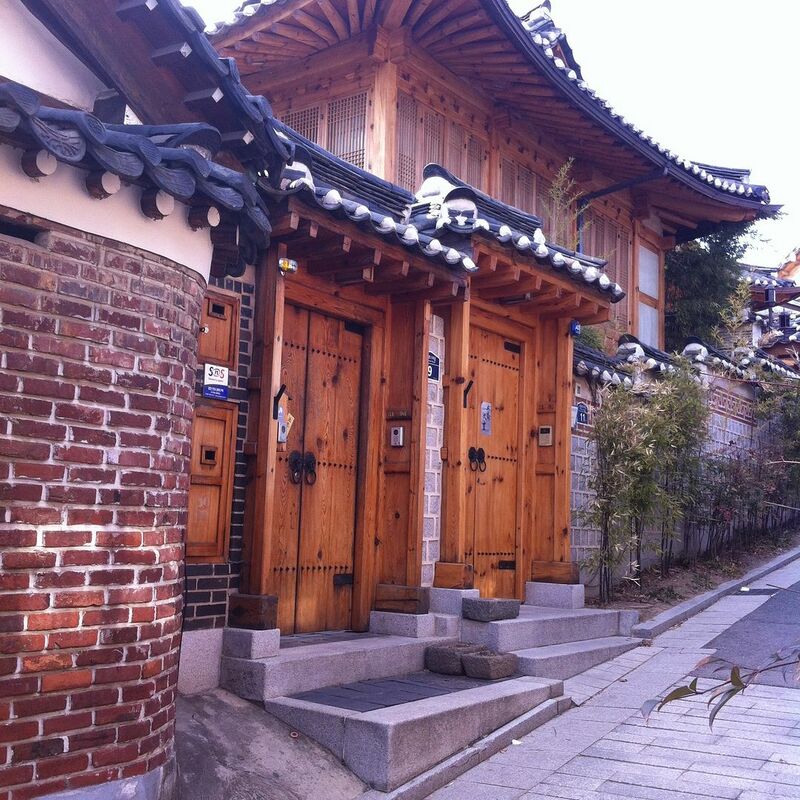 After our yummy bingsu, we were off to Bukchon Hanok Village. Again this is another must visit place for travellers. 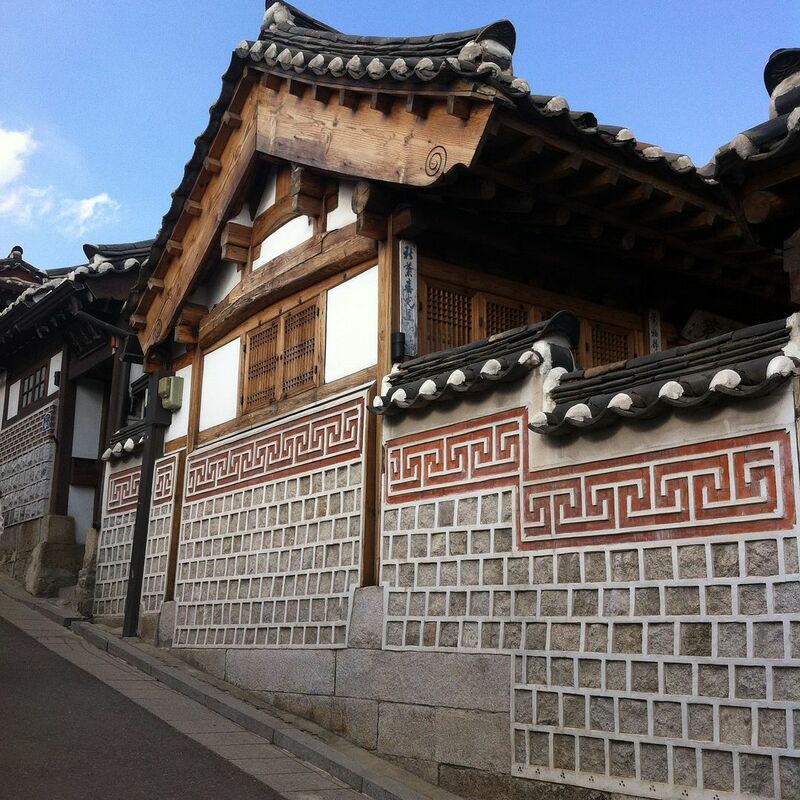 Hanok are the names for traditional Korean houses, and Bukchon Hanok Village is lined with Hanoks that have been well preserved. Along the way you'll get to pass some pretty shops and cafes. 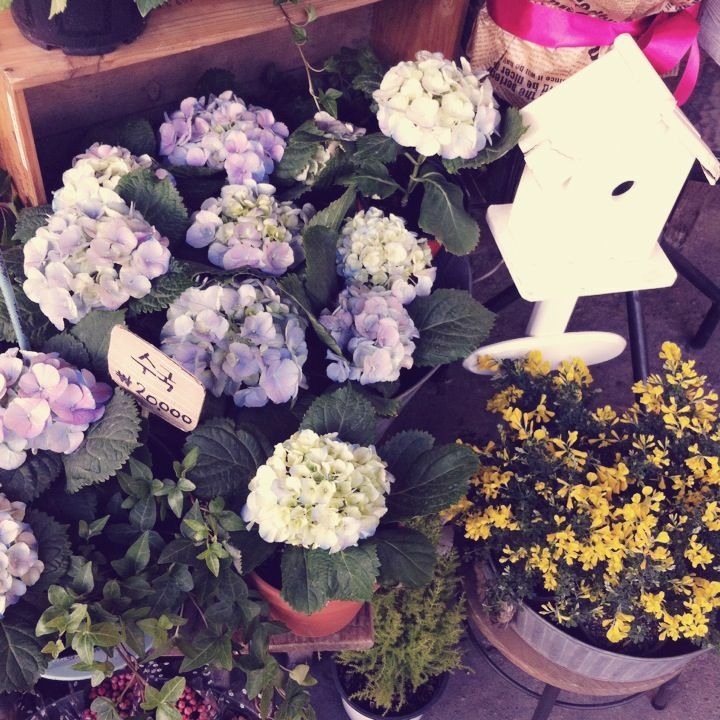 Pretty flowers outside a florist shop. 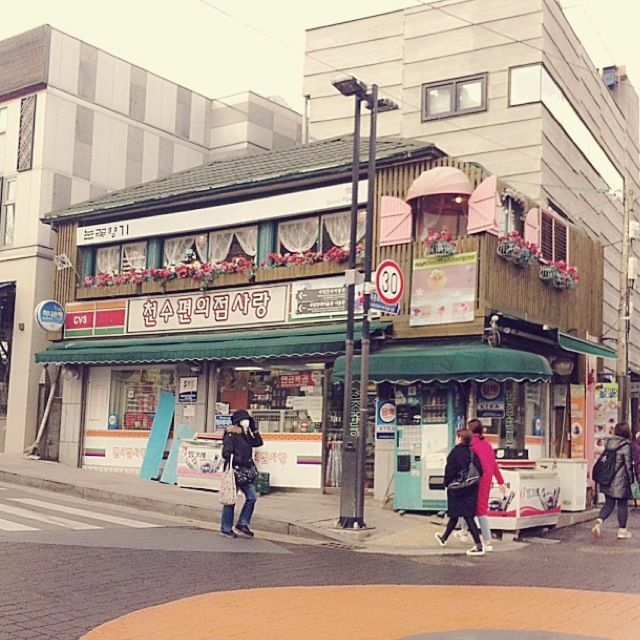 A cutesy looking cafe stacked on top on an convenience store - how random! 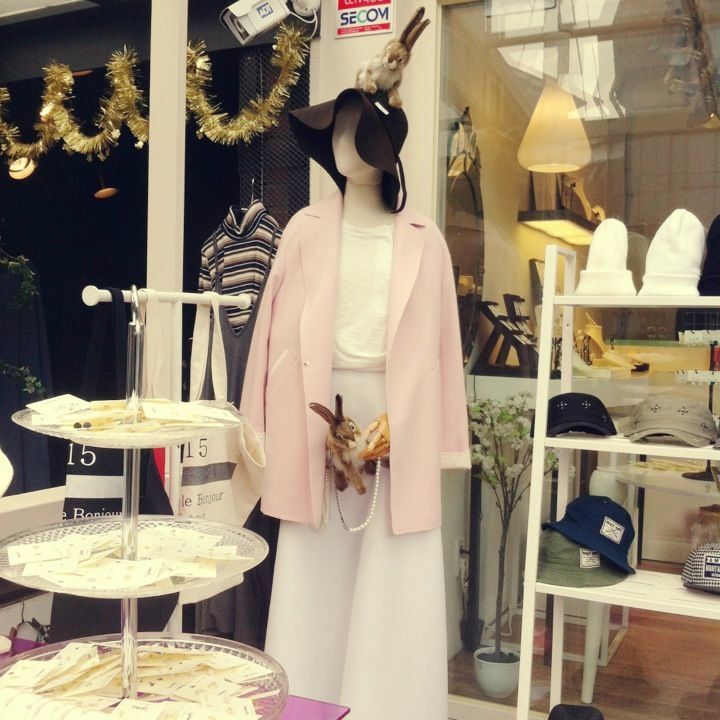 Loved this shop's display - check out the cute little rabbits! 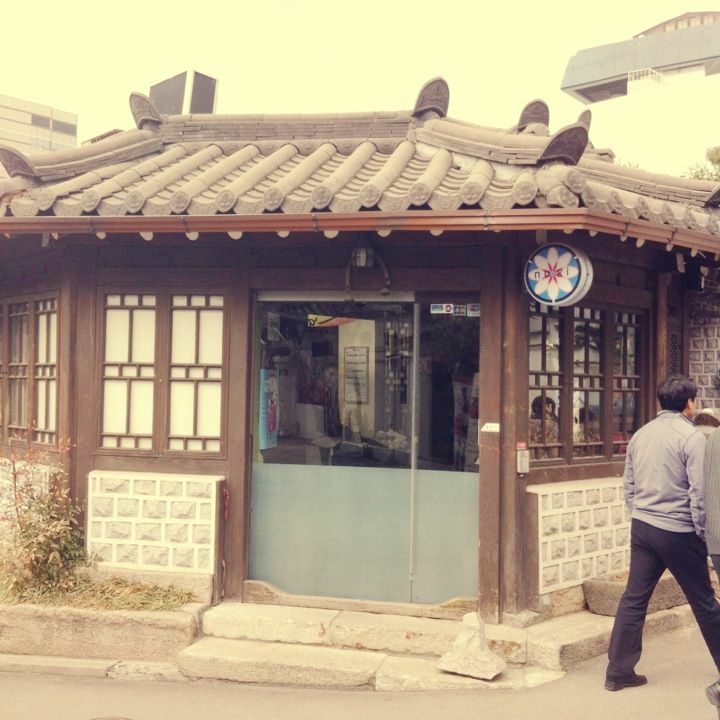 First glimpse of a Hanok - it's been converted into a pop up store! 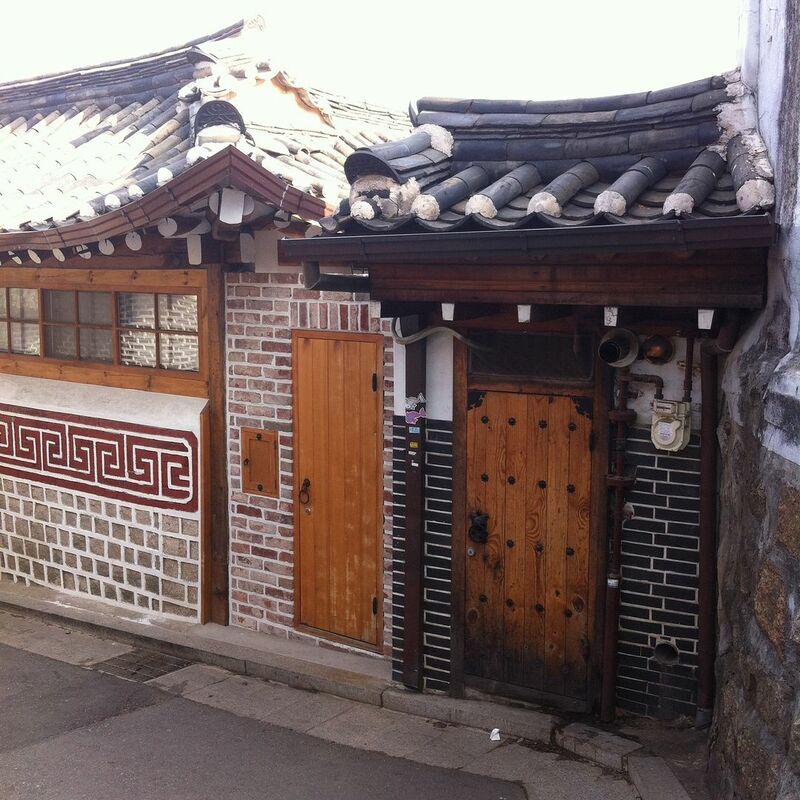 More converted Hanok style stores. Cool store front display outside a boutique. 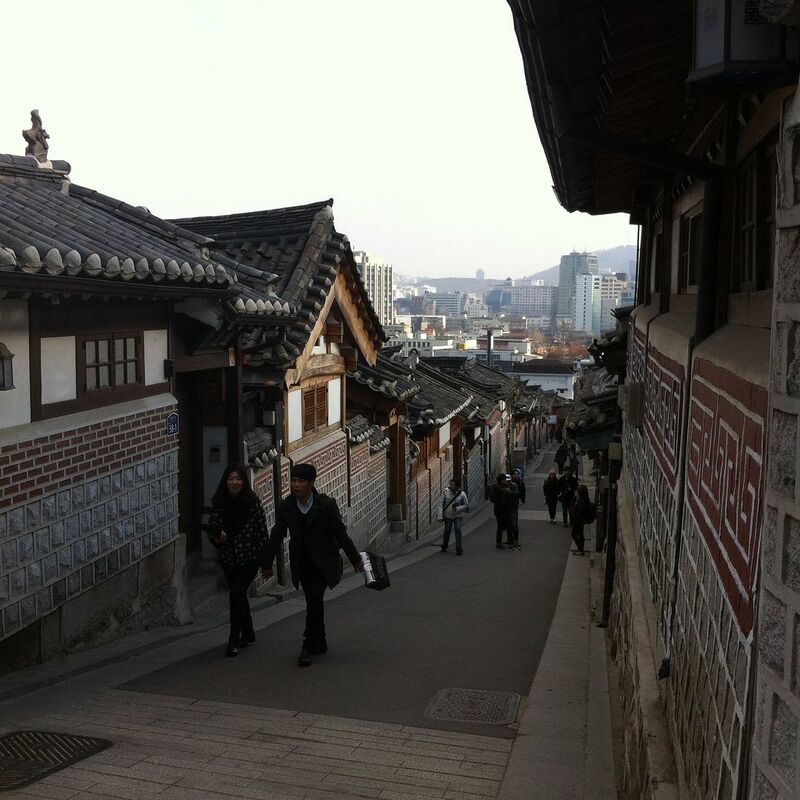 And then we gradually left behind the shopping district as we started the steep-ish incline to Bukchon Hanok Village. The streets are narrow and so quaint. Ugh, so pretty. The colour of the wood is lovely. And here we have it - the quintessential shot everyone needs to take, as it's the most famous view of the village. So lucky I could take this in a rare moment when it wasn't filled with tourists! View from the bottom end. 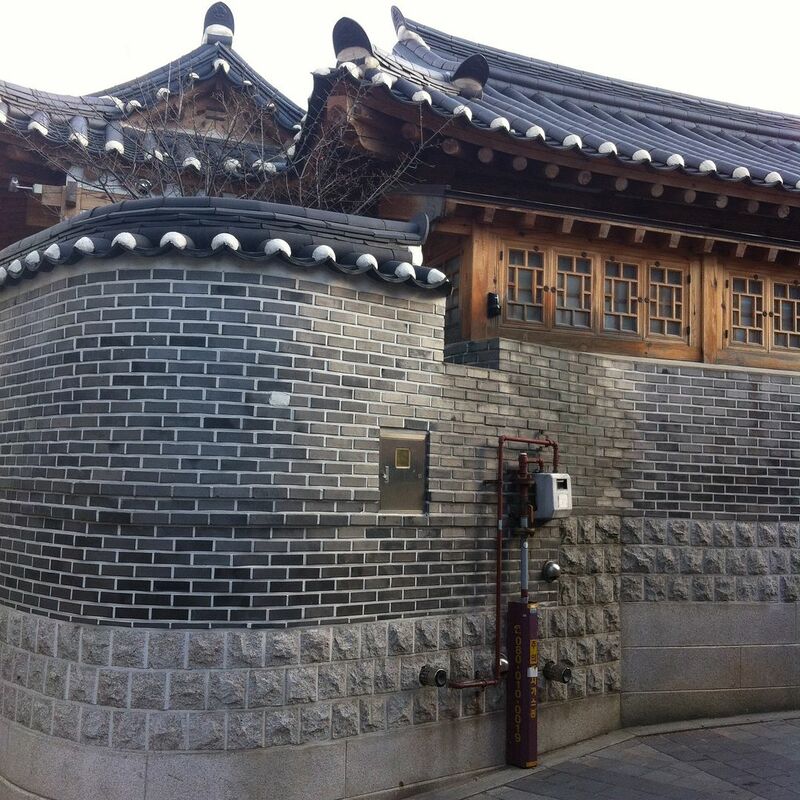 Kind of bizarre to see such old houses hooked up to modern conveniences, lol. 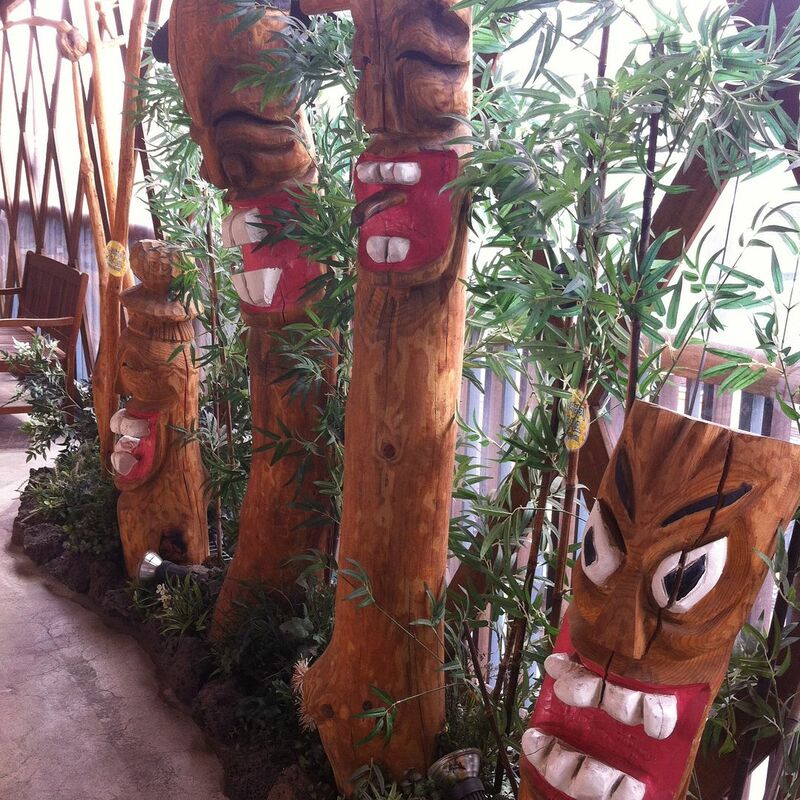 But I love that people still live in these Hanoks, and may have been for generations. Very cool. The whole place is very picturesque, though because the Village is still part residential it's courtesy to be nice and quiet when wondering through the village. Photography buffs will love this place I reckon! 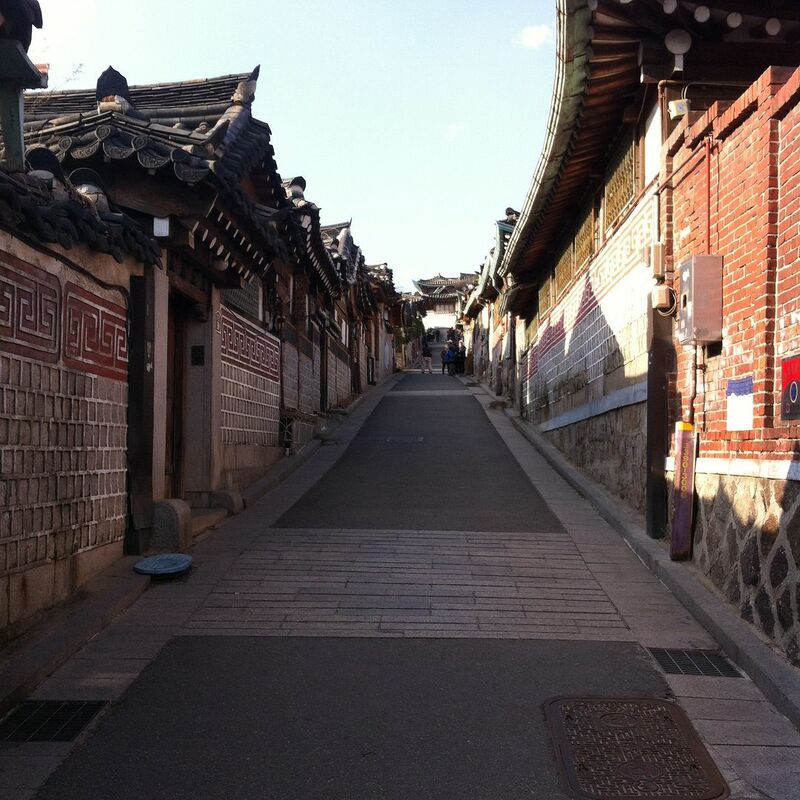 And heading back down, and towards Samcheongdong, a place known for good shopping and cafes. 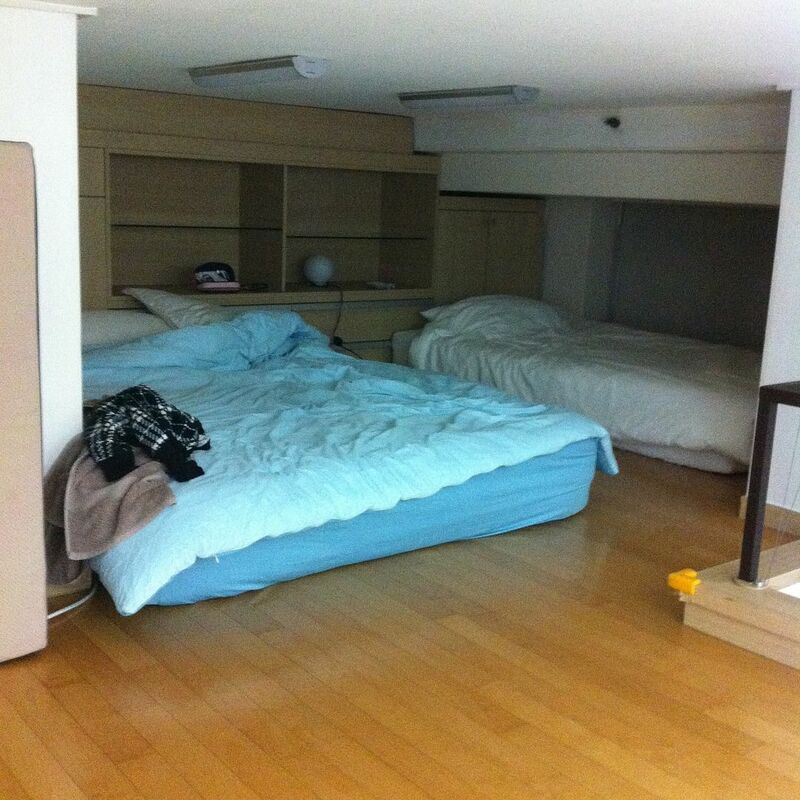 We had one destination in mind - Innisfree Jeju House! You may know Innisfree as one of my favourite Korean beauty brands, but did you know they also have a makeup store slash cafe? 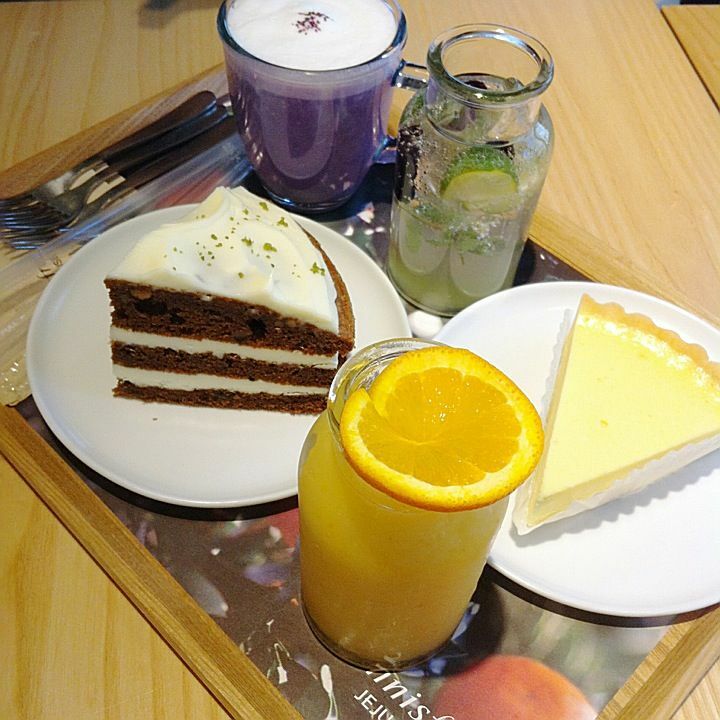 I ordered the sweet potato latte (that purple frothy drink) and the widely raved about carrot cake. If you spend a certain amount in store, you'll get a coin to use in a lucky machine which deposits surprise sample boxes. Cute concept huh? Later that evening we went to another cute little cafe so my friend could meet up with her Korean friend. We got to try Korean fried chicken and a traditional walnut tart. Everyone raves about Korea's fried chicken, and after trying it I can definitely see why - it's delicious! And that's how day 3 of my trip came to an end. 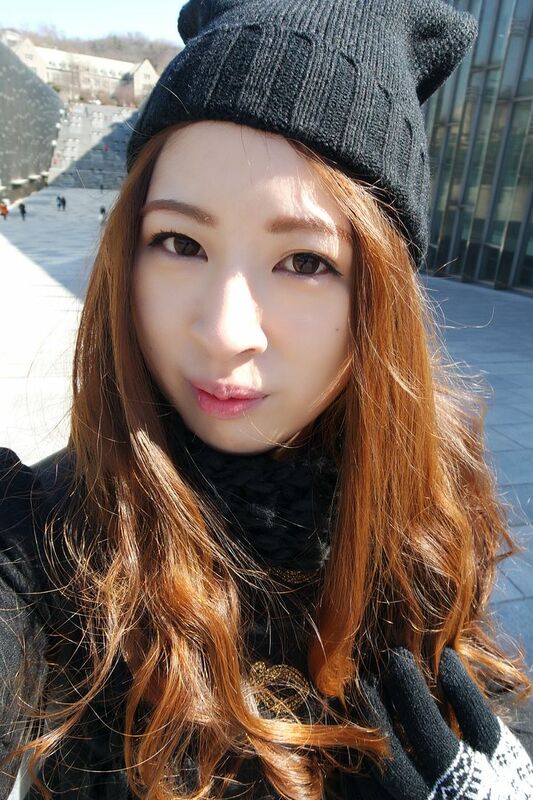 Aww, writing up all the entries for my Korea trip is making me miss it all the more! Hehe, anyway the next post is probably the last travel post, as Day 4 was spent finding a doctor and then once reassured I wasn't dying, we went shopping like crazy at the infamous Express Terminal Bus Station (despite being in pain) :P As you might expect I didn't bother taking any photos. She helped fill out the forms and translated for me. Turns out me and long flights don't get along, the doctor said the blood vessels in my leg were affected from the long flight and cramped seating, but luckily it wasn't DVT! It took me 3 weeks to heal up, plus I caught a cold at the same time too, which also took about 3 weeks to leave T.T I've never been so miserable, lol. Hello! 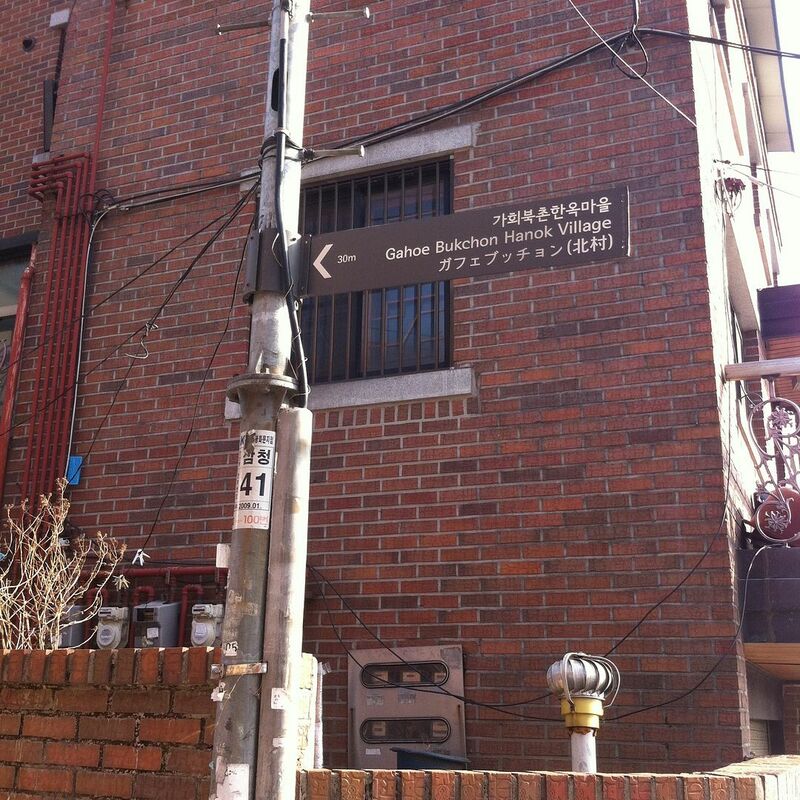 Here's the next instalment in my Seoul travel posts. It's day 2 of my 6 day trip and what's on the agenda? More shopping, yay! 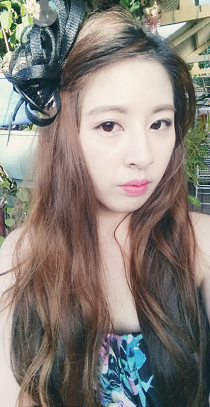 This time it's clothes shopping instead of makeup, as we headed to Ehwa Women's University. Yup, a university just for female students. So of course the campus is super pretty - widely regarded as the prettiest university in Seoul, with beautiful architecture. But what's that got to do with shopping? Well not so far from the campus is Edae, lined with little shops and boutiques that sell trendy but super affordable clothing - perfectly aimed at young women who want to look fashionable on a budget. 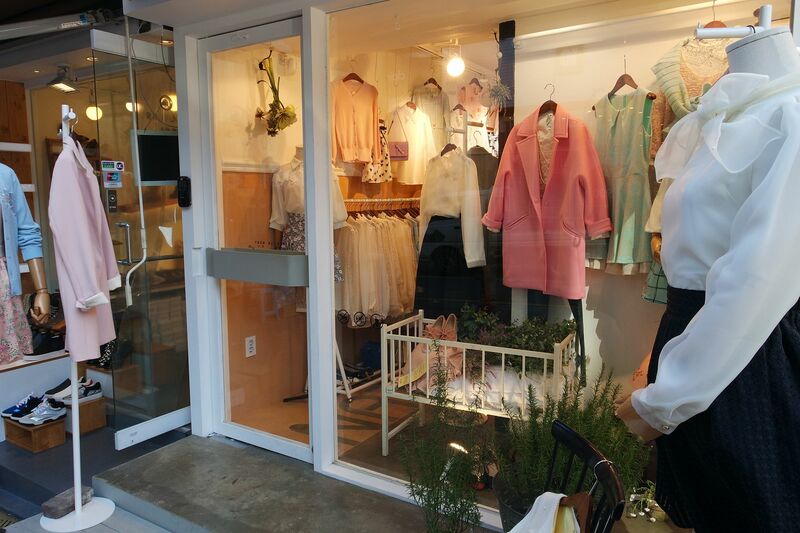 Here you can find cute clothes from 5000 Won up - that's USD$5! 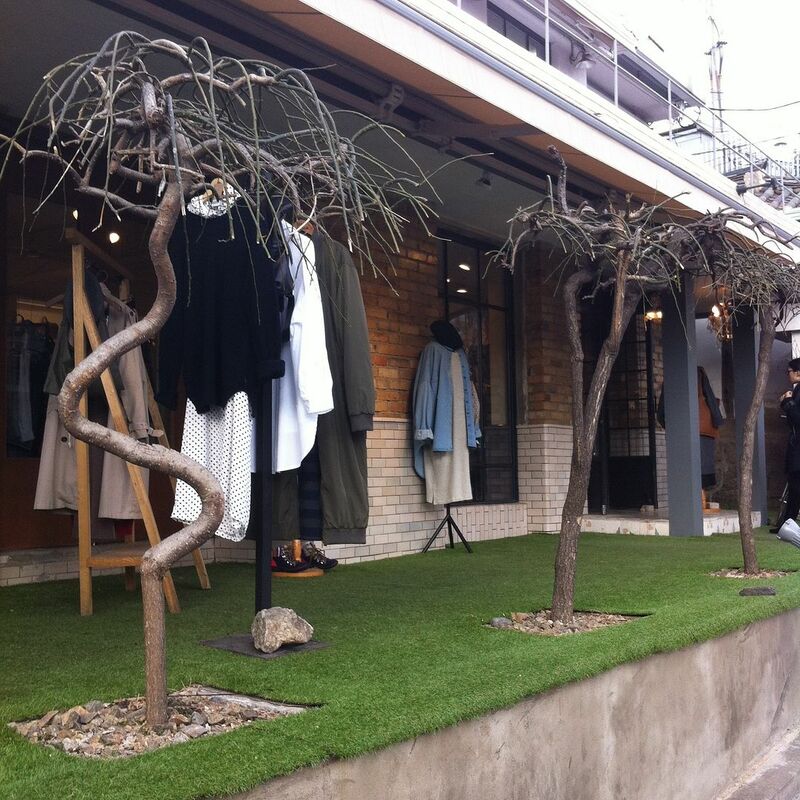 Actually most of the sale racks are at the 10 000 to 15 000 Won price point and up. Still, that's some great bargains! By the end of our shopping trip my hands had gone numb from carrying my loot around, lol. Hence the lack of photos since I was too busy draining my wallet, lol. I'm sorry. A wall plaque near the university. It's basically like a representation of the area - so pretty! 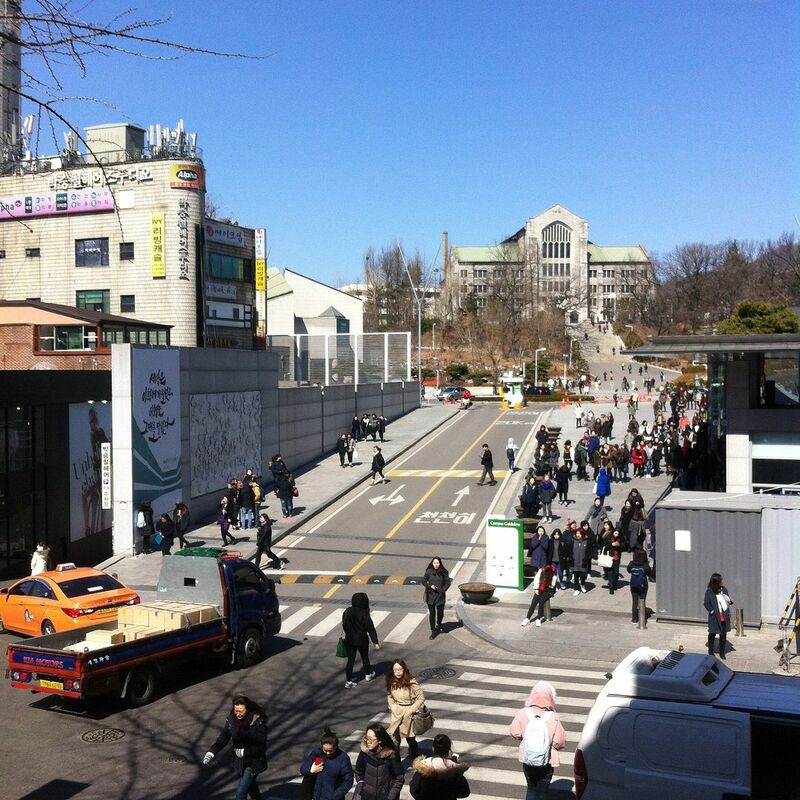 First glimpse of the campus. The side 'walls' are actually a building in of itself! I think it's a library/study area? It's all glass - very cool. Edae's pretty big - you literally can shop until you drop, lol. I consider myself a pretty good shopper, but even I had to admit I was done after a few hours. You can try and bargain for some things, but if you're buying $10 to $15 sale items you won't get further discounts. Most full priced items you can start with asking for a 'cash discount' (a discount for paying in cash) - sale assistants will understand if you say this phrase. 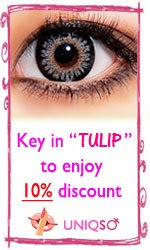 It's normally about 5-10% discount, and from there you can try to haggle it further. The language barrier will be an issue but ask for a calculator and put in the price you want, and then they'll counter offer, and so on. It's worth being determined, but I found women were less likely to give in compared to older men. I didn't end up bargaining too much since I was mostly buying sale items anyway! Check out this amazing hair salon and cafe! It looks like a magical supplies shop straight out of the Harry Potter universe, doesn't it? From Edae we were off to Hongdae, because it's pretty lively at night. Tip, rent a locker at the train station so you don't have to lug your shopping bags around or go back to your accommodation. Didn't get any good pics of Hongdae, oops. There's some really nice shops here too - the vibe of the fashion is less girlie compared to Edae, with more 'edgier' clothes as well as higher end boutique type stores. There's still bargains to be found of course. And there were quite a number of restaurants and cafes too. 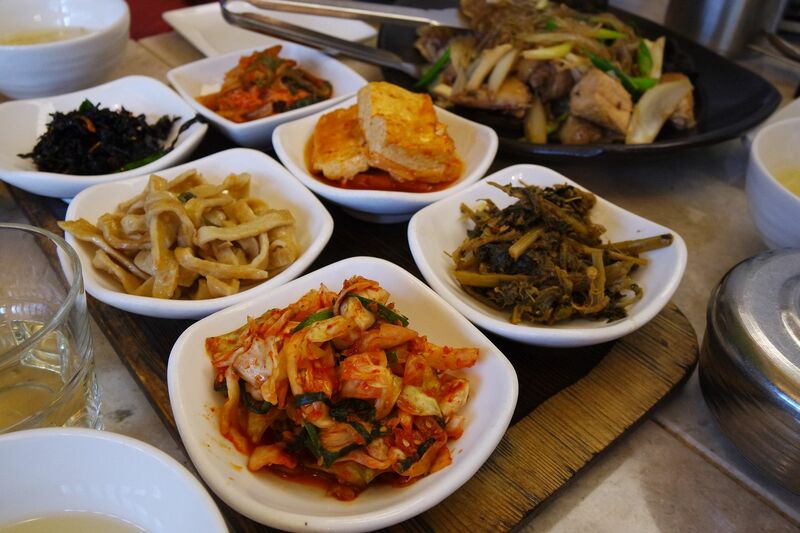 Haha, I love all the side dishes that come with a main meal - I can get full just eating those plus a bowl of rice! After dinner comes dessert (obviously). 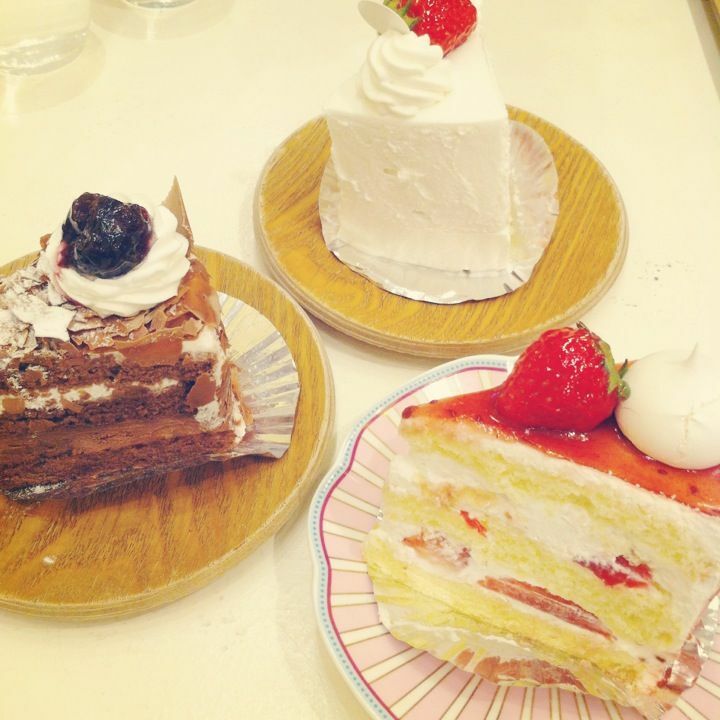 We went to a cute little bakery called Chocolat Yum in Hongdae, to try some strawberry shortcake. 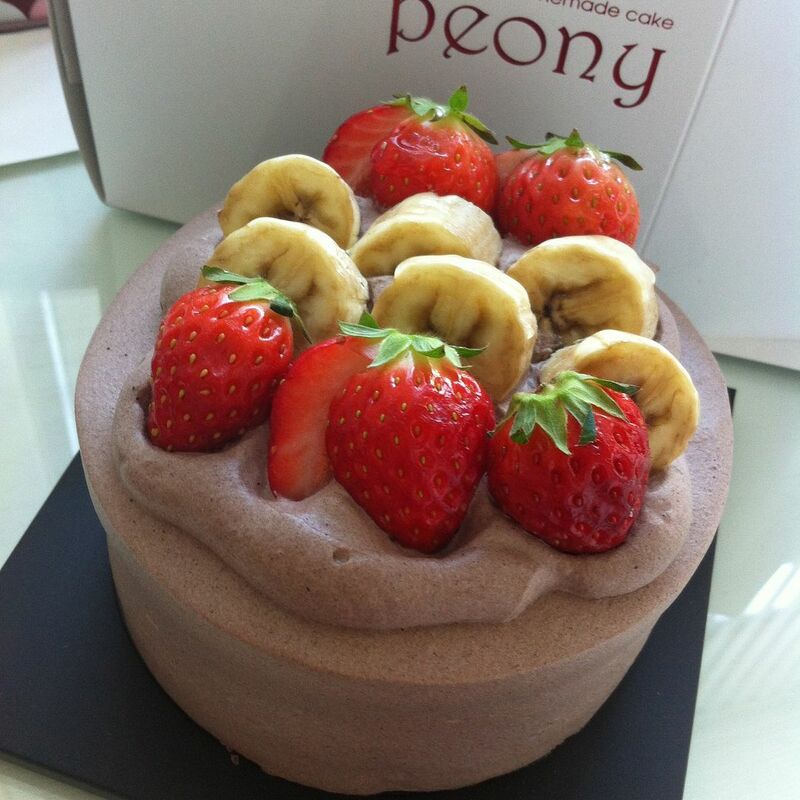 This cake is everywhere in Korea! Spongecake, cream, and fresh strawberries are a super popular combination - every cafe we walked past had some sort of variation of this cake! 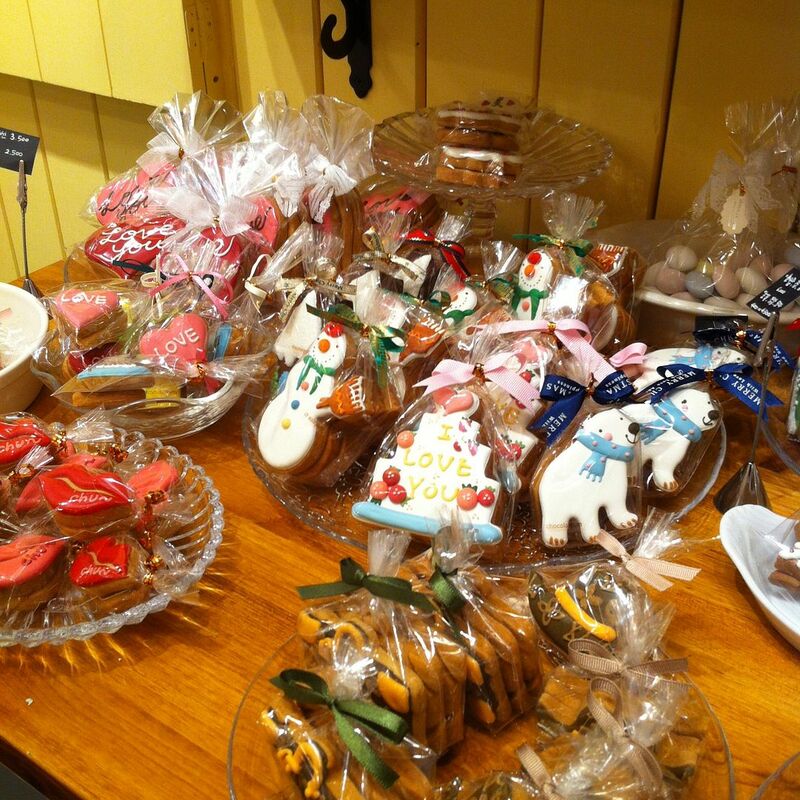 Asides from cake, Chocolat Yum had the cutest array of cookies, jams, and other sweets. Sooo cute! Cake <3 I really like the cream here - it's lighter and tastier to Western cream cakes, which can be a bit too heavy for me. The milk must be different somehow, lol. The sponge cake was soft and fluffy too, yum yum. If you don't like anything too rich or heavy this is perfect for you. We were literally eating cake for breakfast the next few days! 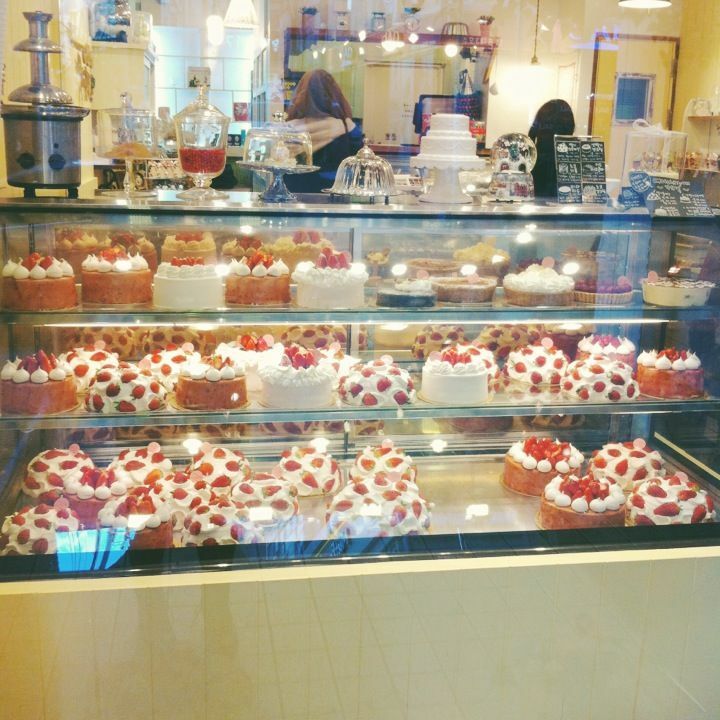 More cake at Coco Bruni - please don't judge me, lol. It's a pretty crap photo, but this Earl Grey cake was the most amazing cake I've ever eaten in my whole life. 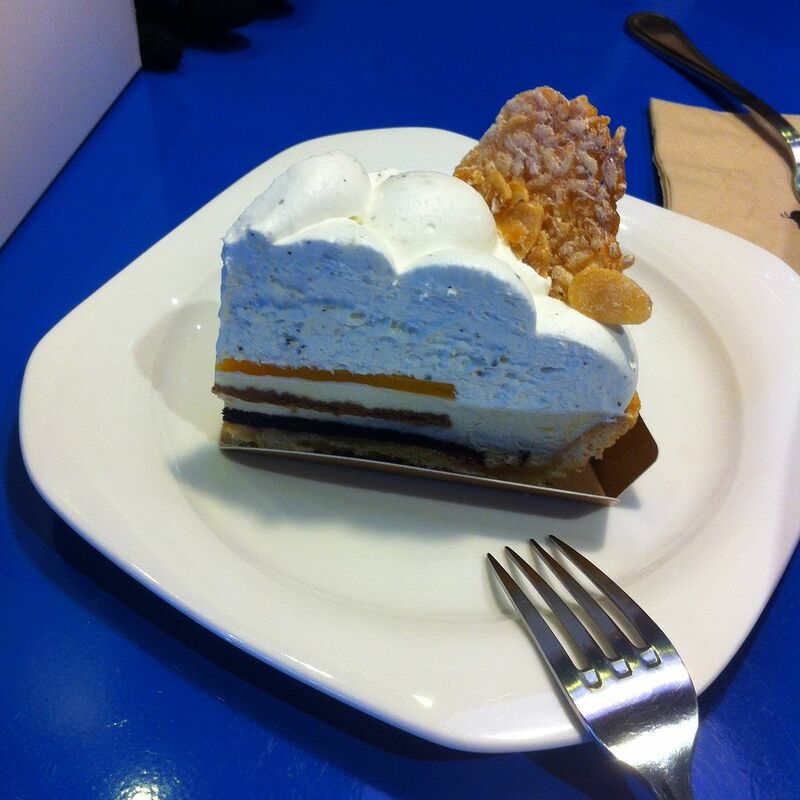 If you only go to one dessert place, I reckon this would be the one I recommend. The interior is pretty cool too - the ground floor has a super pretty antique concept going on, and then you walk up to the second floor and it suddenly turns sci-fi futuristic on you, with a cold library, maze like, science like concept. Bizarre but cool! At this point we're 90% sugar, so we head back to the apartment to unwind. 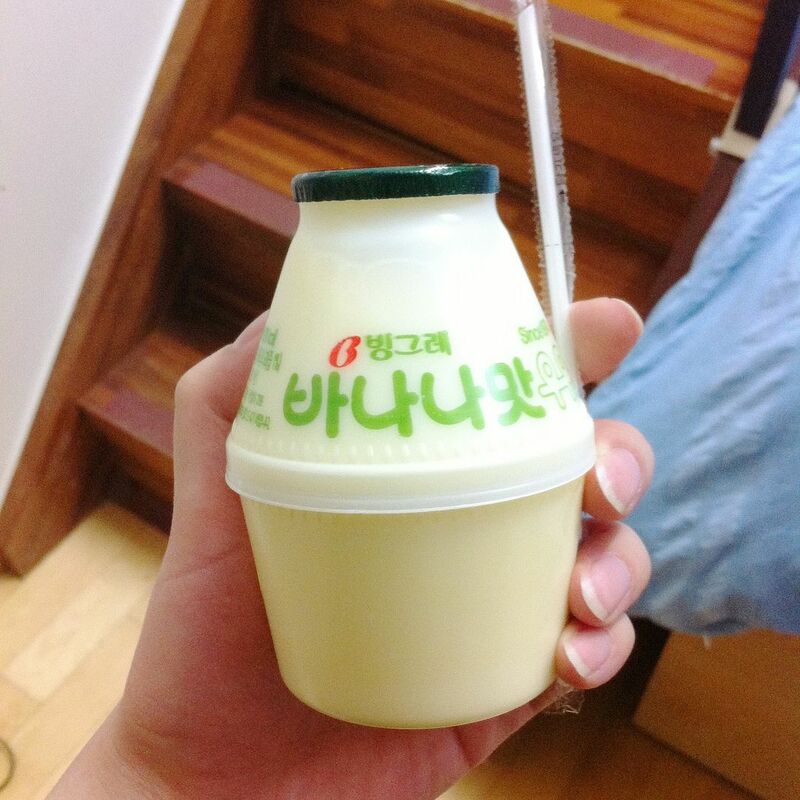 And I finally get to taste that banana milk drink that everyone loves, lol. It's good! 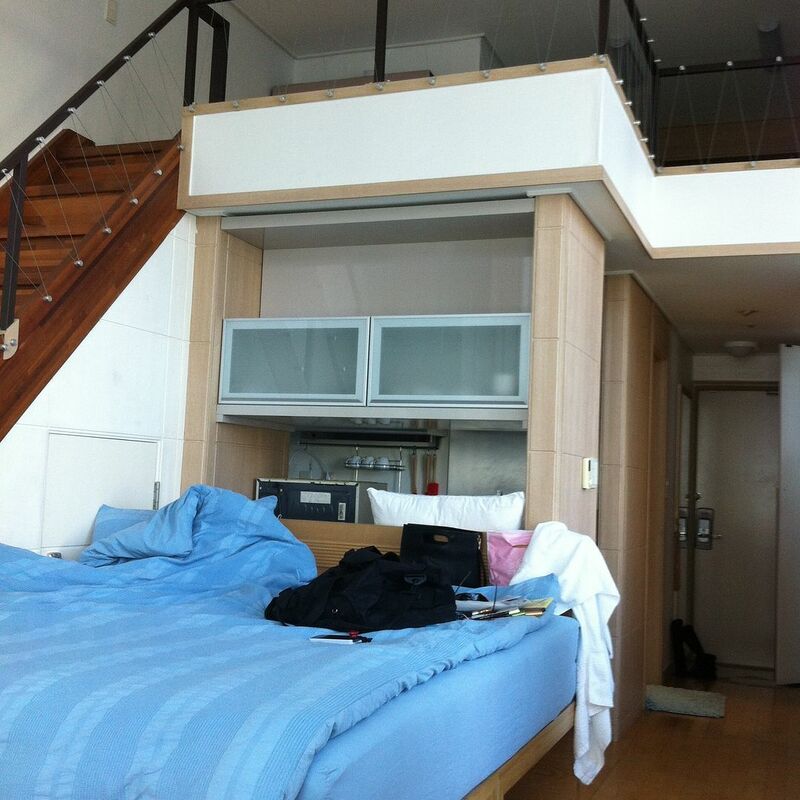 It was super bright and airy, really nice overall. But anyway, this concludes day two of my Seoul trip! Hope these travel posts are interesting - more to come soon.